As sustainability has moved from a “nice to have” to a strategic imperative, companies must move their employees from sustainability awareness to being immersed in a sustainability experience in order to meet increasingly ambitious goals and targets. 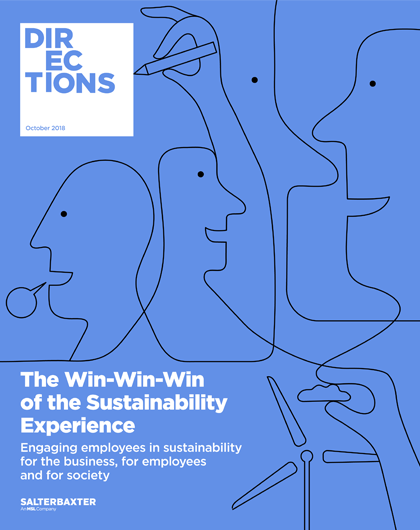 “The Win-Win-Win of the Sustainability Experience” looks at how to create this experience within a company so that employees, the business and society benefits, and also features interviews with two companies already putting this into practice, DSM and Danone. Read more in our report here.